Youngest grandson wanted to make a bag as a birthday present for his mom. He was very determined that it should be shaped like a heart, and it had to be red. Before he came to visit, I made sure I had some red fabric available, plus iron on vliseline, and some sturdy woven ribbons for the handles. 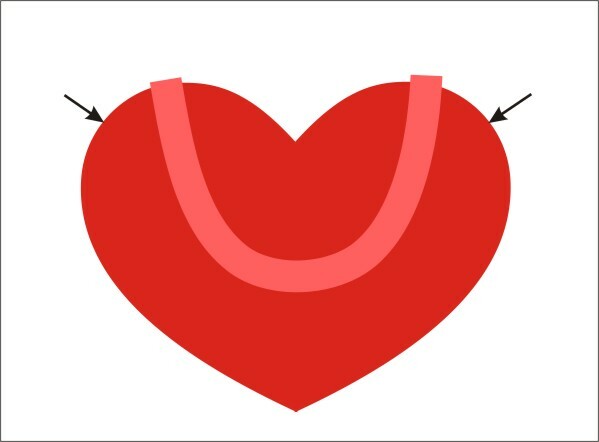 We discussed various heart shapes, and decided that a shape with a rounded “bottom” would work better for a bag than one with a pointed “bottom”. Drawing a heart pattern is easy. 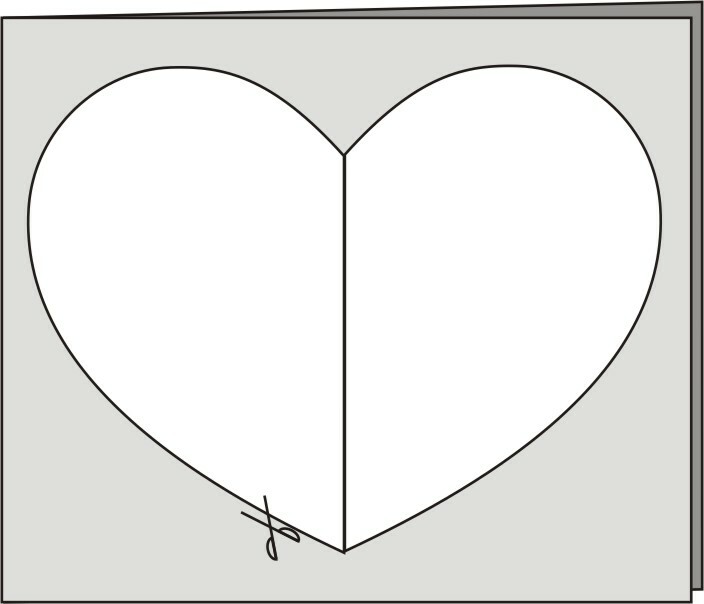 Just fold a paper in half, and draw half of the heart shape the size you want, then cut out. The next thing we did was to cut two heart shapes out of vliseline. 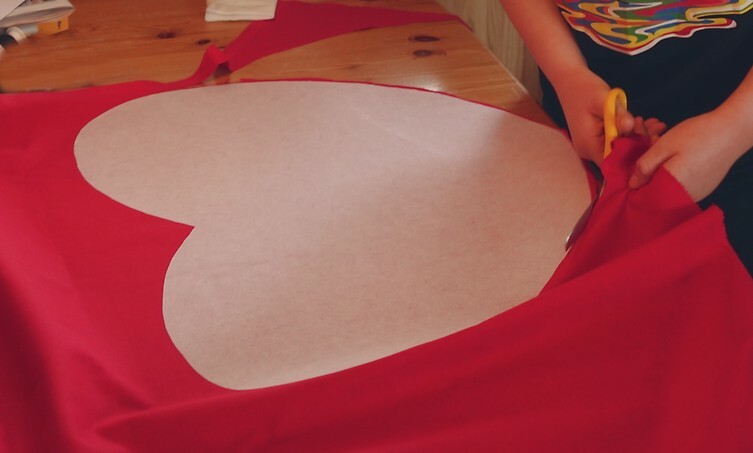 We ironed the two vliseline shapes on to the wrong side of the red fabric and cut out. I insisted that the bag should be lined. 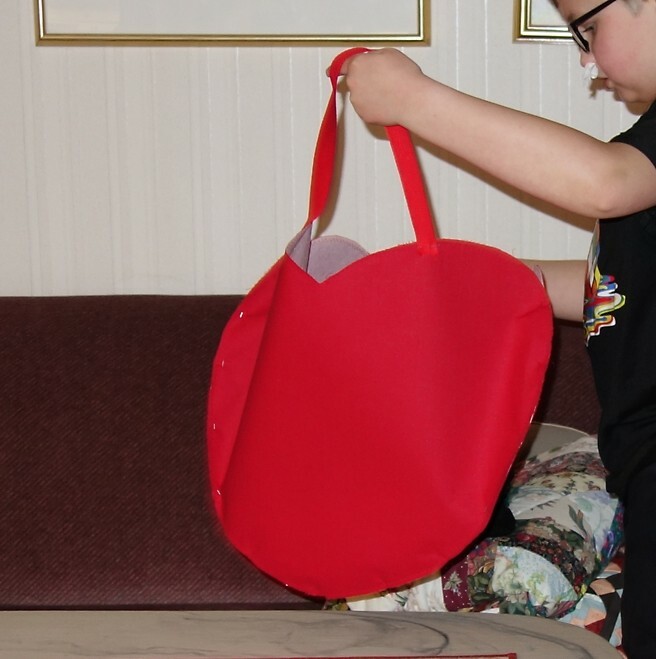 He was a bit sceptical as he had never made a lined bag before, but I explained that it would be easier to sew a lining than to fold and hem the rounded edges, so he went along. 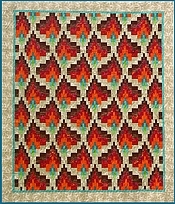 We chose a lining with a pattern of book ends. He thought it would fit very well as his mom loves books and works in a library. 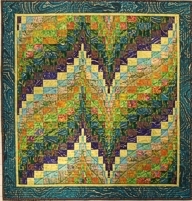 Then he had quite a job zig-zagging the edges, all the way around each shape. Then we pinned the outer shapes, and tried the placement of the handles for best balance. 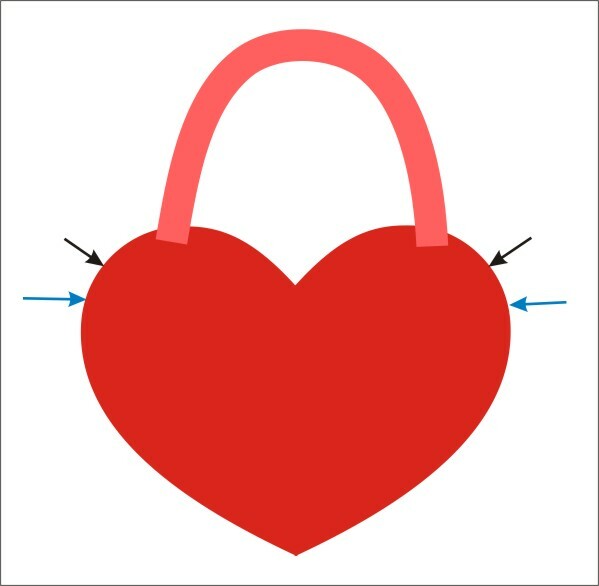 We wanted the heart shape to show also when carrying the bag, and found that if placed too far out, the bag would “collapse” the middle part, and if placed too far towards the centre, the sides would sag. We also decided on the size of the opening at the top. 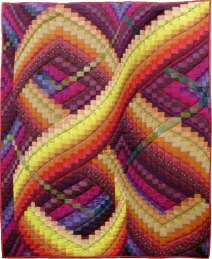 The opening can be as large as you like, depending on where the side seams start. We marked where we wanted to start the seams. 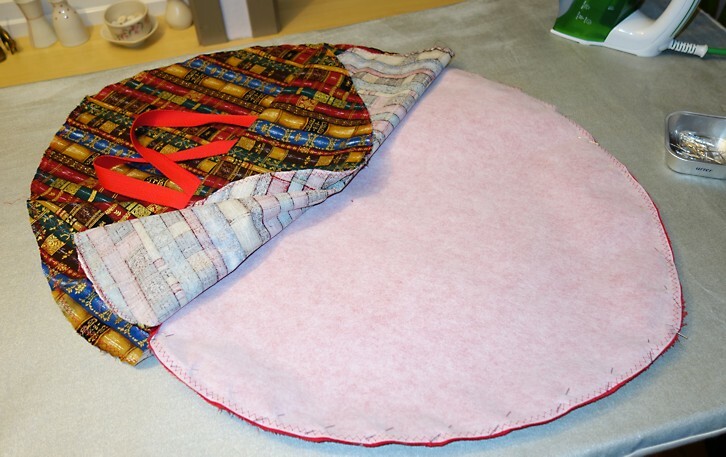 Then the handles were placed and pinned in position for sewing on the right side of the fabric. Next the lining was placed on top, right sides together, then pinned along the curved edges and sewn between the marks. Clip the seam allowance, especially in the “valley”. 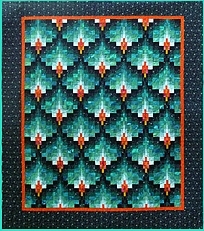 Turn right sides out and stitch the edge from the right side. Both halves of the bag had to be sewn like this before we could go on. 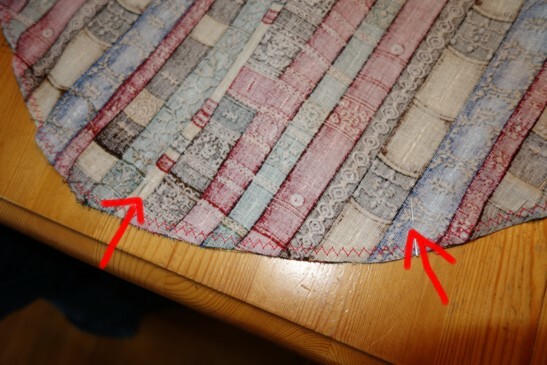 Next, we had to fold away the lining fabric, place the red fabric parts right sides together, pin and sew the side seams, right up to the marks, or as far as we could manage. 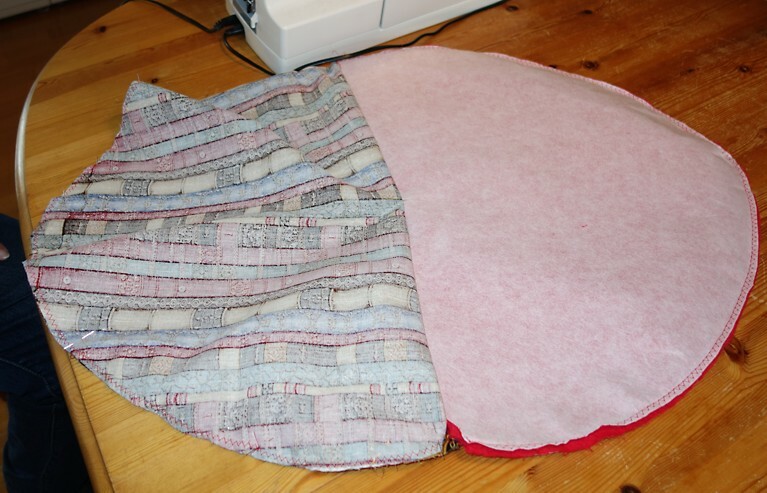 Then we did the same with the lining fabric, – both sides pinned together…. 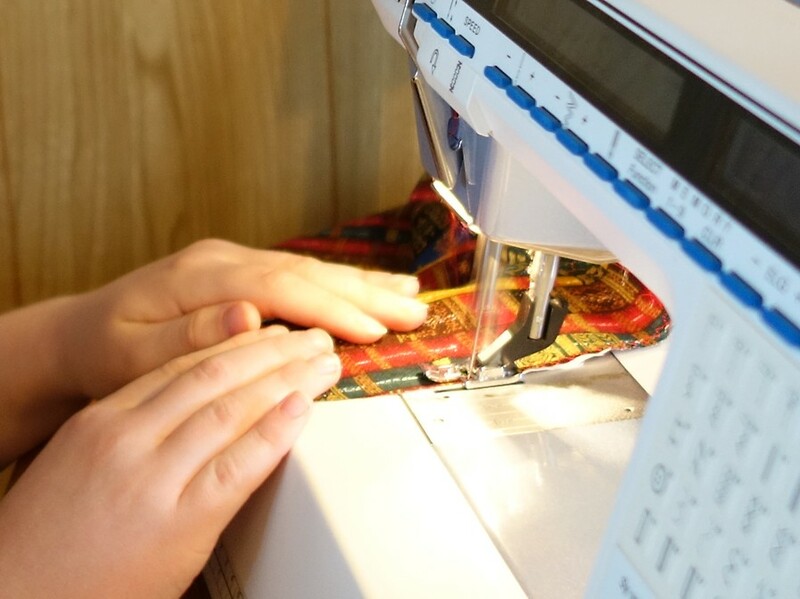 ….. except for a short distance of approximately 15 cm near the bottom, as there has to be a small opening so the bag can be turned right sides out after sewing. This was the fun part, – he was very thrilled to see the bag emerge through this small opening. 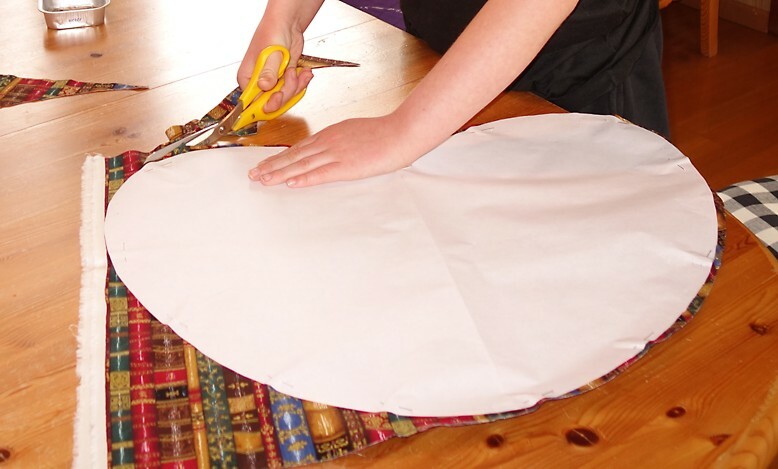 Then we sewed the edges across the side seams, and sewed shut the opening in the lining. Both the maker and the recipient were very happy with the bag. 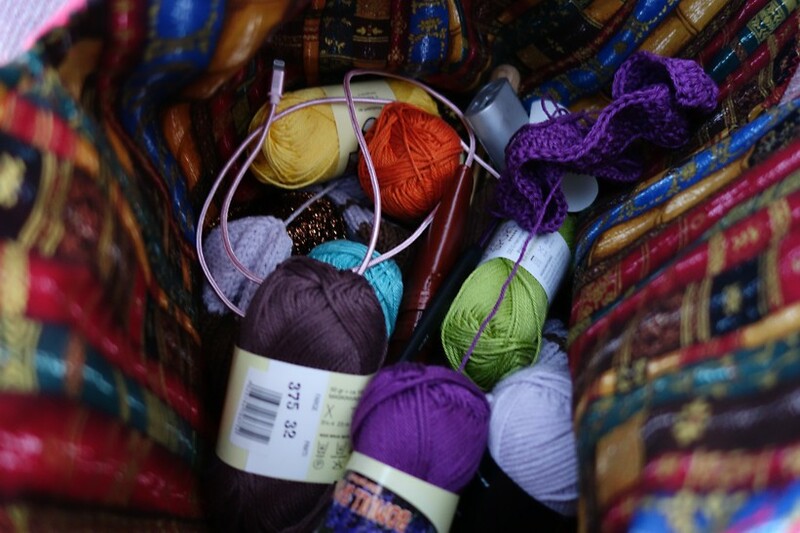 It is a perfect carrier for mom’s knitting projects.